A solar panel installation business. 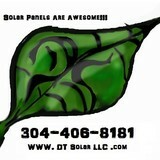 DT Solar LLC is a West Virginia solar service provider based out of the middle of the state. We can give you everything you need to power your home with clean and cheap solar energy. We will oversee your entire solar panel installation project and can provide you with any assistance needed over the lifetime of the equiptment. Solar panels, Microinverters, string inverters and all things solar. Right here in WV. Along with off-grid solar, wind and hybrid energy systems that include batteries and backup generators, there are also grid-tied solar and wind operations. 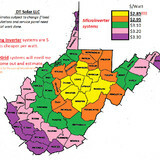 Grid-tied systems are attached to your West Virginia utility company so if you produce more energy than you use, your meter goes down and you build up energy credits. 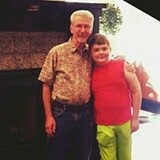 Find solar energy contractors in West Virginia on Houzz. Search the Professionals section for West Virginia solar energy contractors or browse West Virginia photos of completed installations and look for the solar energy contractor’s contact information.